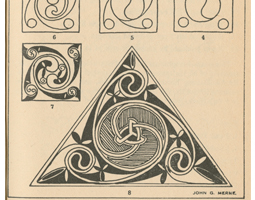 The National Irish Visual Arts Library (NIVAL) is a public research resource dedicated to the documentation of 20th and 21st century Irish visual art and design. 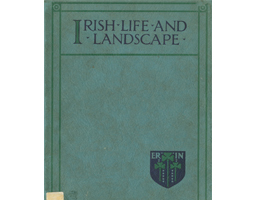 NIVAL collects, stores and makes accessible for research an unparalleled collection of documentation about Irish art in all media. NIVAL’s collection policy includes Irish visual art from the whole island as well as Irish art abroad and non-Irish artists working in Ireland. Information is acquired on artists, designers, galleries, arts organisations and institutions, critics and other related subjects. The collection contains documentary material in all formats including books, catalogues, videos, slides, artists’ papers and ephemera in print and digital format. Monday 29th April: Usual term time hours resume. 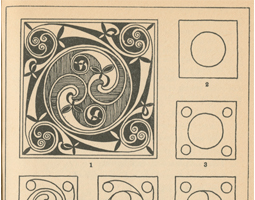 In 2020, the National Irish Visual Arts Library will be relocating to alternative premises on the NCAD campus. NIVAL's new home in the former Head Office of Powers Distillery at 100 Thomas Street will offer improved conditions for readers, collections and services. The building dates from the late 18th century and features original wood panelling and stained glass by artists of An Túr Gloine. The historic entrance at the corner of Thomas St and John's Lane will be the new entry for all visitors to the library. We will be offering reduced services and limited access to collections from August 2019 - June 2020. 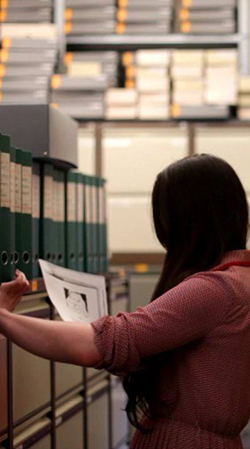 If you are an academic researcher and wish to gain access to certain collections during the period of closure, contact us as soon as possible to request an application for the retention of material. Priority will be given to academic professionals and students currently enrolled on postgraduate and doctoral programmes. While we cannot guarantee that all requests will be met we'll do our best to accommodate your research needs. The deadline for the receipt of applications is Monday, 29th April 2019. 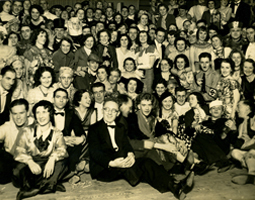 Email nivalinfo(at)staff.ncad.ie to request an application for the retention of material. You can subscribe to our mailing list here. 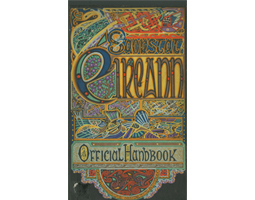 Irish Patchwork Society The Irish Patchwork Society was founded in 1981 to promote the practice and art of patchwork, applique and quilting in Ireland. There are currently 8 branches located throughout Ireland. Patrick Scott Archive Patrick Scott is one of Ireland's most significant artists. A remarkable 75 year career as artist, designer and architect displayed his unique fusion of art and design over an extraordinary breadth of work. 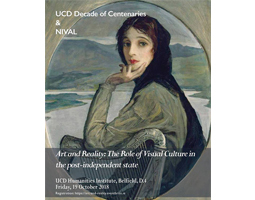 His archive, bequeathed to NIVAL in 2015, is a valuable resource for researchers, providing insight to Scott's important contribution to all areas of Ireland's 20th and 21st century culture. The vast collection offers a comprehensive look at Scott's working process with models, tapestry maquettes and print designs. 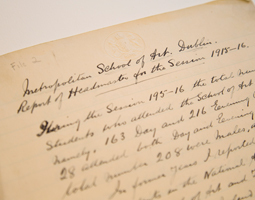 Administrative documents detail his time with renowned Irish cultural organisations - Aosdána, Kilkenny Design Workshops, Irish Exhibition of Living Art, and Rosc. Passports with visa stamps detail travel that influenced his work. Photos, diaries and correspondence provide humanising glimpses into Scott's personality. Jan de Fouw Jan de Fouw arrived in Dublin from his native Netherlands in 1951 to work as a freelance graphic designer. He had trained at the Royal College of Art in the Hague under a teacher who had once been a student in the German Bauhaus. De Fouw was one of many Dutch designers who came to Ireland in the 1950s, partly on the initiative of Sun Advertising, to work for Aer Lingus who began using modern advertising to promote their service abroad. 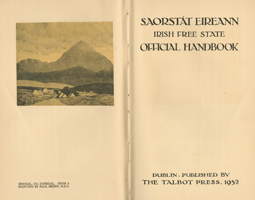 Over his early career in Ireland, de Fouw worked for a diverse range of companies including the Irish Tourist Board, Aer Lingus, Bord na Mona and the Office of Public Works. 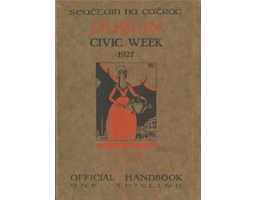 De Fouw joined the magazine publication Ireland of the Welcomes on its second issue in 1951, where he worked as a designer for the following 44 years, becoming its Art Director in the 1980s. 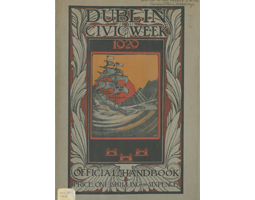 De Fouw was a Director of Black Church Print Studios and guest lectured at the National College of Art and Design in Dublin. He was also a member of the curatorial committee of the National Print Museum from 1995 until 2012. This collection of graphic design materials was donated to NIVAL by the artist in 1999. Cor Klaasen Cor Klaasen moved to Dublin in 1956 where he began working for O’Kennedy Brindley Advertising. Klaasen was born in Amsterdam in 1926 and studied under Mart Stam, Wim Jaarsveld, John Niegeman and Piet Zimmeran at the Instituut voor Kunstnijverheids Onderwijs (IVKNO), now called Rietveld Academie. He taught typesetting and layout at IVKNO between 1945 and 1952. Klassen also worked in Switzerland as an illustrator between 1952 and 1956. During this time he attended a design course at the Kunstgewerbeschule Basel. 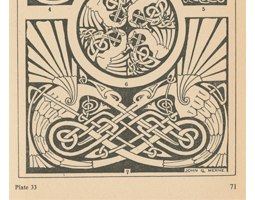 The main body of Klassen’s work comprised of advertising for many leading Irish agencies of the time such as Donnellys, Lobitos, Helicon and C.J. Fallons. Klaasen had a thriving freelance practice including 170 book covers and 35 LP sleeves between 1958 and 1988. 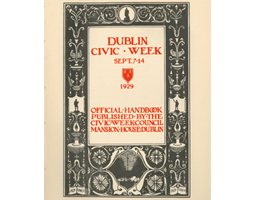 Klassen taught at the National College of Art and Design as well as Dún Laoghaire Institute of Art, Design and Technology. The National Print Museum exhibited a selection of his linocut prints in 2004. This collection of covers for vinyl L.P. records for was donated to NIVAL by Klaasen’s wife, Tineke, in 2009. 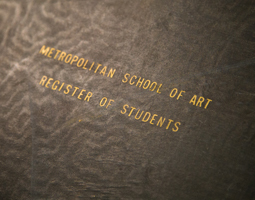 A scrapbook of documentation related to Klassen accompanied the donation which includes an inventory of Klassen’s work, a recollection of his years as a student and his thoughts on life and work (written in approx.1977), photocopies, prototypes and original copies of book covers, sketches, pamphlets, posters and greeting cards and photographs of Klassen.